A Professional Uruguayan Footballer, Rodrigo Bentancur is one of the successful international football players. The twenty-one-year player currently plays Seria A league winner, Juventus. He plays as a central midfielder for both Juventus and Uruguay national football team. Bentancur wears the shirt number 30 at Juventus, while he wears shirt no 6 for Uruguay national team. Bentancur is considered a dynamic, hard-working, tenacious, and tactically versatile midfielder and is capable of playing in any midfield position, including as a defensive midfielder, as a central midfielder, as a winger on either flank or even as an attacking midfielder. Bentancur started his football career as youth from Boca Juniors in 2009. And he was promoted to Boca Juniors senior team in 2015. Juventus signed him on 1 July 2017. He is described as a tall and physically strong player. He can play as a defensive midfielder, central midfielder, attacking midfielder, or as a winger on either flank. On 25th June 1997, he was born as Rodrigo Bentancur Colman. But his name is celebrated as Rodrigo Bentancur. He was born in Nueva Helvecia, City of Uruguay. The nationality of Rodrigo is Uruguayan. His parent's name is Roberto Bentancur, Father and Many Colman, Mother. In the age of thirteen, he was refused by Uruguayan giant’s Penarol, the football league. Then, he took his father's help and later he took a trial with Boca Juniors Youth Academy. Rodrigo Bentancur started his career of football at the Boca Youth Academy where he remained at the academy for six years. So, he is a product of this academy and played for club's youths' team until 2015. He was then promoted to the club's senior team. This enthusiastic player made his first-team debut for the club in a league game against Nueva Chicago on 12 April 2015. He came on in as a substitute replacing Pablo Perez in the 77th minute. The game finished 0-0 draw at home. Along with his team, he was won 2015-16, 2016-017 Primera Division and 2014-15 Copa Argentina. 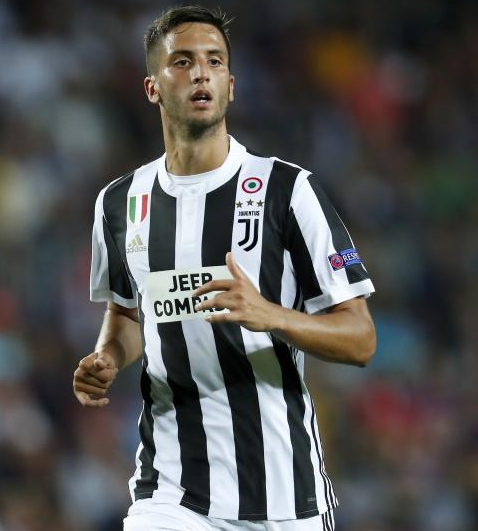 Bentancur made his debut for the club against Genoa on 26 August 2017 in Seria A. He came on in as a substitute when Juventus achieved 4-2 away victory. Bentancur has won 2017-18 Seria A and 2017-18 Coppa Italia. Bentancur gave Juventus a 1-0 lead in the 33rd minute in Seria A fixture against Udinese on 6 October 2018. 100 million star Cristiano Ronaldo added another to wrap up 2-0 away victory over Udinese. Juventus achieved 8 straight victories in 8 matches of 2018-19 Seria A season. Bentancur obtained his first international cap in 19th January 2017, in the U20 squad of Uruguay in a 0-0 draw against Venezuela at the South American championship 2017. There he scored 1 goal in 14 caps for the Team. Bentancur made his senior international debut for his country in a World Cup Qualification against Venezuela on 5 October 2017. Bentancur was included in Uruguay's 23-man squad for the 2018 FIFA World Cup at Russia. 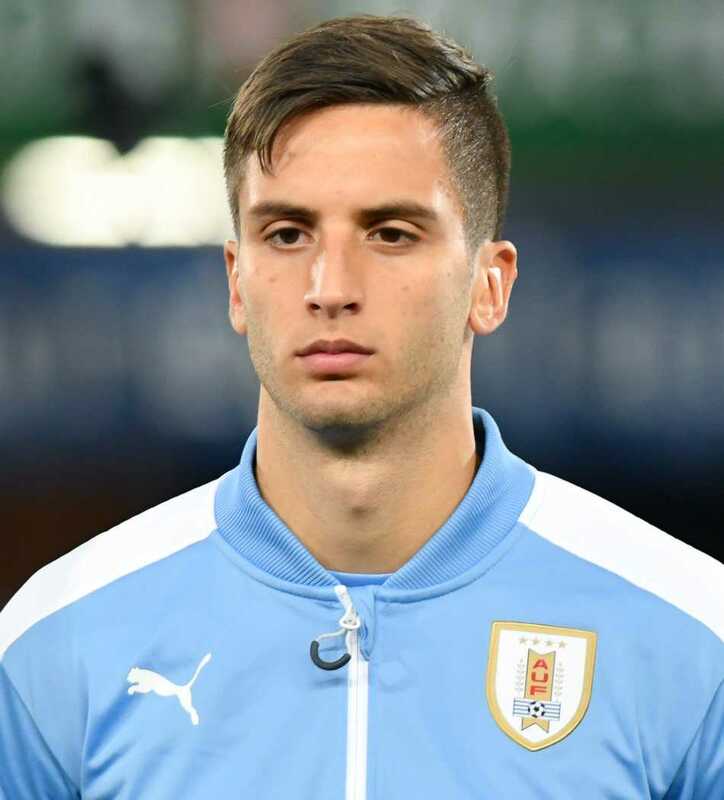 Bentancur made his World Cup debut during Uruguay's opening match of the tournament against Egypt on 15 June 2018. They started a winning campaign at World Cup defeating the Mohammed Salah and the company with a 1–0 win. Uruguay met Portugal in Round of 16. Uruguay defeated Portugal 2-1 on 30 June 2018, where Bentancur set-up Edison Cavani's second goal. Uruguay faced France in quarter-finals on 6 July 2018. Uruguay returned home from quarter-finals after suffering a 2-0 loss to eventual World Cup Winner France. Since 2017, Rodrigo Bentancur is in a relationship with Mel La Banca. This beautiful couple is currently enjoying their relationship. He is very active on Instagram. His total follower is 327k. The horoscope of Rodrigo is Cancer. Rodrigo Bentancur is a player and has an athletic body build. He stands 6 feet and 2 inches tall and he weighs 72 kg. He has a black eye color and his hair color is also black. Bentancur signed with Seria A club Juventus for a transfer fee of 9.5 million Euro. He will also receive additional bonuses depending upon his performances at the club. As of 2018, the market price of Rodrigo Bentancur is estimated to be around 13.5 million pounds. His annual salary at Juventus is estimated at around 3.1 million Euro. He receives weekly wages of 61,000 Euro. The net Worth of Bentancur as of 2018 is still under review.